28th of July brings good news for all who sport a sweet tooth or two. This is the day in the entire year when you can actually celebrate the gift of milk chocolate to humanity. This is also the share of 24 hours when all the calories, all the fat and all the health excesses of rick milk, butter and cocoa is forgiven. 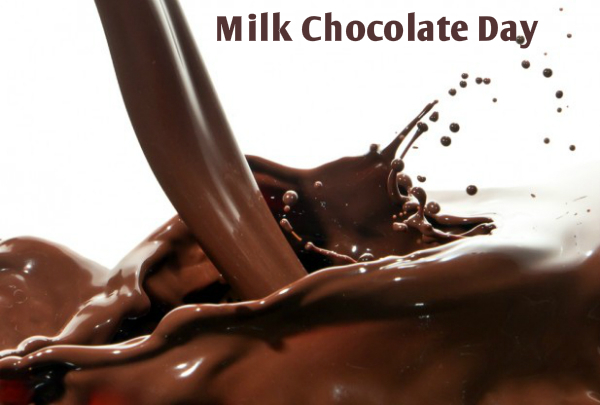 On the 28th of July, Milk chocolate is the only food for you over all things green and all things fiber. However, this is not a very good reason to forget the fact that there is very little that milk chocolates do for the good of your health and this is in stark comparison with dark chocolates consisting mainly of ground cocoa. In fact, dark chocolate with 70% cocoa or more is very good for the health of your heart and regulates blood pressure in obese people who may have undertaken thorough workouts. Opt for low calorie options – The market today is brimming with low calorie options of any food whatsoever. Therefore, it is very likely that you are sure to get an array of choices on low calorie milk chocolates with reduced fat content. Try sticking with these options for a more healthful celebration. Indulge in homemade recipes than buy – There are about tens and thousands of milk chocolate recipes that will receive a boost in restaurants and shops this 28th of July. If you are into watching your weight, you should choose to prepare milk chocolate delicacies at home than buy them ready-made.This way, you can choose healthful ingredients and alter sugar content as per your health requirement. You will also be in charge of manipulating the calorie content of your chosen delicacies as per your wishes. Team it up with healthy food – Gorging on slabs of milk chocolate is not the only way to celebrate this glorious day. You can in fact, smear half a cup of molten milk chocolate on a bowlful of assorted berries and enjoy a heavenly treat. Similarly, you can pour the same on a bowlful of assorted roasted nuts and munch through the day! Lastly, whichever way you choose to indulge in, make sure you engage in thorough cardio exercises for an hour at the morning and follow it up with light brisk walking at the end of the day. This will counter at least half the calorie content contributed by the chocolate feast.